Learning that you have to get dentures as a young adult may not easy, but it is an important step towards oral health, a nicely restored smile, and high quality of life. Dentures are devices that replace your missing teeth and they can be recommended to the young as well. There are various types of dentures out there and you can research them, keeping in mind that the ultimate decision on what type of denture you need will belong to your doctor. Today we will talk a little about our services for dentures in Fort Lauderdale Florida and let you know why they are the best in the area! Giving the patient new teeth that look, feel, and function just as natural teeth is actually the last step of a more complex process. You may need some teeth removed, other teeth treated, some oral surgery, bone grafting, and so on. All these complementary services are performed by different experts in different specialty areas of dentistry. We work with such specialists and we are able to offer you a complete service without sending you to another dental office to get partial treatment and then come back to us to finish the job. Offering A to Z services ensures your treatment is supervised completely and is performed by a team of doctors who cooperate. This way your treatment will be faster, more efficient, more coherent, and less time consuming. Modern medicine has evolved tremendously and so should practitioners do as well. 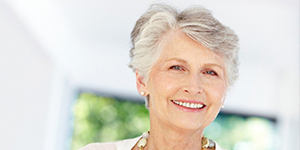 We work with a team of experts having nearly 60 years of combined clinical practice. However, we invest in their development and they follow continuous training and education in the latest dentistry trends and technological advancements, surgical procedures, and dentistry techniques. This is why we work with the latest and best equipment, bio compatible materials, implant kits, trademarked crown surfaces, and so on. For our services of dentures in Fort Lauderdale Florida, we collaborate with certified and licensed laboratories and dental implants companies. When you hear about extractions, oral surgery, dental implants, and extensive oral treatments you may feel a boost of anxiety which might convince you to cope with those missing teeth. Keep in mind that our services are completely painless, we promote a friendly, positive atmosphere, we offer in-office comforts and amenities, and we find solutions to make your treatments for dentures in Fort Lauderdale Florida affordable. In other words, enjoy your brand new smile and put your worries away!